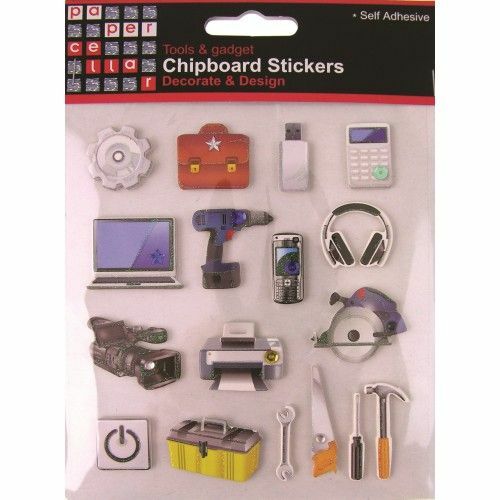 Collection of seventeen chipboard stickers of tools and gadgets. The stickers are self adhesive and each has either glitter or a small crystal decoration. The stickers in the set include various DIY tools which would be great for making cards and scrapbook pages for men, there are also phone and computer gadgets which would work well for teenage boys and girls.